These Mausers came out of the Fabrica de Armas de Oviedo plant, otherwise known as the Oviedo Arsenal. 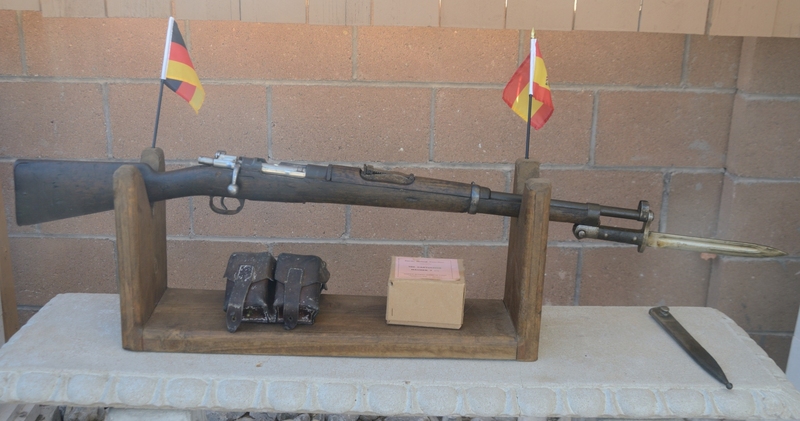 These rifles were used in the Spanish Civil War which was from 1936 to 1939. This rifle likely saw duty in the Civil War and has plenty of markings showing the use over many years. I purchased it in “good” condition, added it to my Mauser collection, and never fired it. 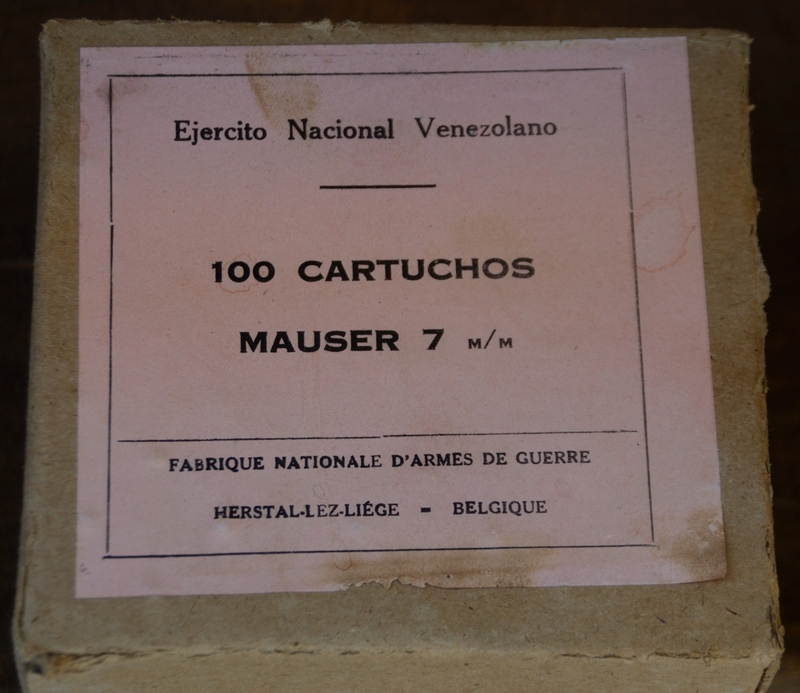 With the rifle I purchased a box of 7mm ammo made for the Venezuelan army by FN in Belgium. I was also able to pick up a Mauser bayonet with scabbard that fits the rifle, but is not likely to be of Spanish origin. I am also including some leather ammo pouches that were probably made later, but like the rifle, will need some cleaning up.